A new “Shopper Showrooming Study” [pdf] study from parago contains a host of “core” statistics related to showrooming (58% of smartphones owners do it! It’s growing quickly! ), but it’s perhaps best to leave aside exact percentages as surveys often turn up different results. (Here’s a roundup of some data on showrooming behavior – and here’s one study that argues that it’s over-hyped). The more intriguing snippets of the parago study come in the discussion of price elasticity and in some of the behaviors of low- and high-income respondents that appear on the surface to be counter-intuitive. Sean Parker’s Facebook-connected video chat application, Airtime, launched with an enormous amount of hype last month. So, where is it now, about a month later? 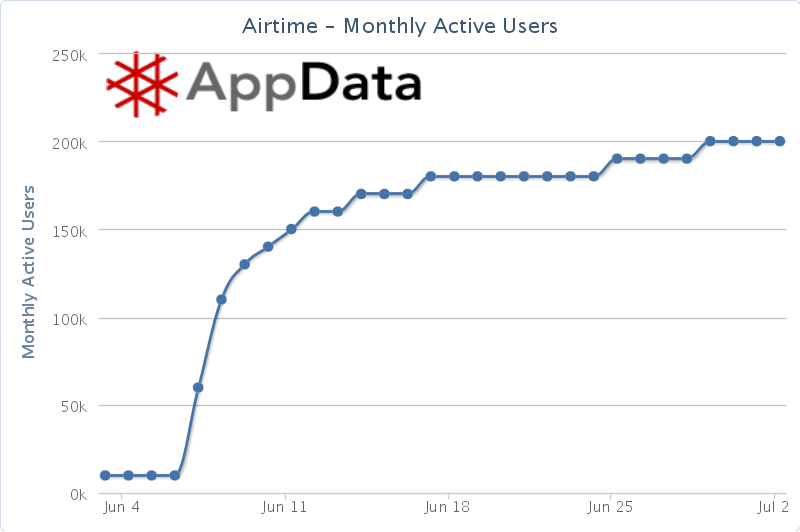 Well, if you take a look at Airtime on AppData, the numbers don’t look good: it has around 9,000 Facebook-connected daily users and 200,000 Facebook-connected monthly active users. 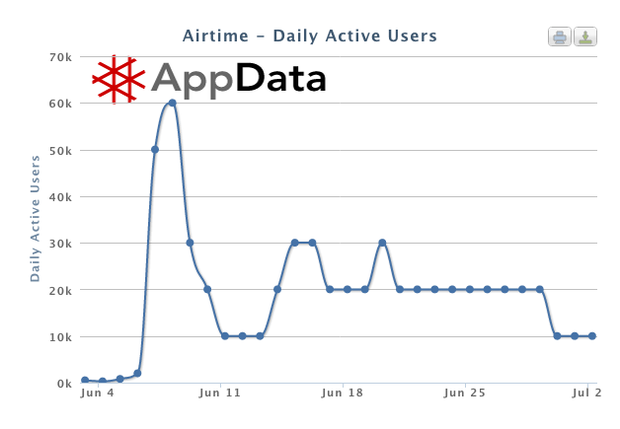 First, a look at Airtime’s daily active Facebook-connected users according to AppData — which is usually a good barometer of success of a Facebook-connected app. 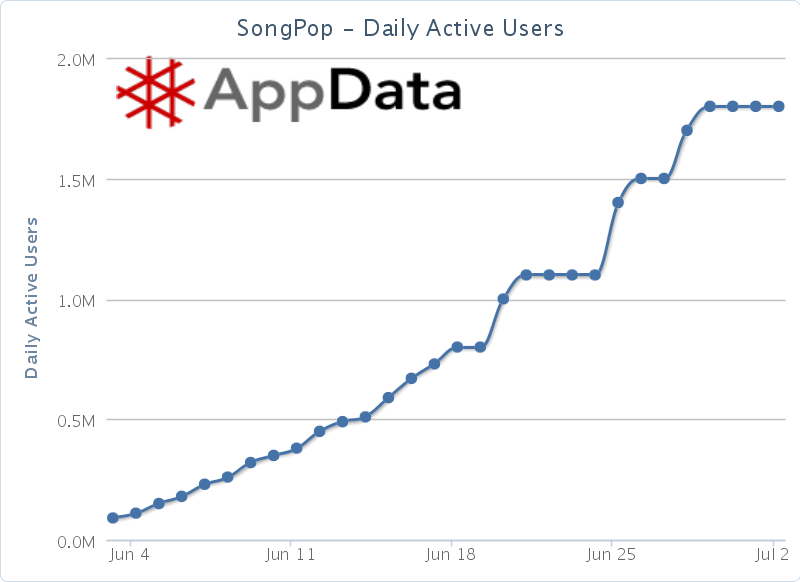 For reference, here’s the kind of chart you want to see if your app is growing quickly: Song Pop. It’s a “guess-that-tune” app that’s picked up millions of users in the course of a month.